ACER’s Monitoring Trends in Educational Growth (MTEG) program is a flexible, collaborative service designed to monitor the learning growth of students from early to middle years of schooling. MTEG can be tailored to the particular needs of countries or regions seeking support to gather data in a systematic way to inform policy development and improved educational practice. MTEG involves ACER staff working closely with educational policy makers and researchers in a country to develop an assessment program that meets the country’s monitoring needs while being based as closely as possible on a set of defined design principles and quality standards. MTEG focuses on changes in learning outcomes over time, by looking at how much students are growing in their proficiency as they move through the school system and at patterns over time in the results of comparable groups. Reading literacy, writing literacy and mathematical literacy are the core assessment domains of the program, but the scope of the assessments can be widened or narrowed to suit the needs of each country. By examining contextual factors around teaching, learning and home environments alongside the assessment results, a more complete picture is built up of the influences on learning outcomes. Download the MTEG brochure in English, French, Spanish or Arabic. In Afghanistan, much has been invested in order to meet the goal of providing all school-age children access to quality, basic education. According to the Afghan Ministry of Education, the number of students in the education system has gone from fewer than one million in 2001, to around 10.5 million in 2013. Despite this significant achievement, 30 per cent of school-aged children, mostly girls, remain without access to school (Ministry of Education - Government of the Islamic Republic of Afghanistan, 2013). 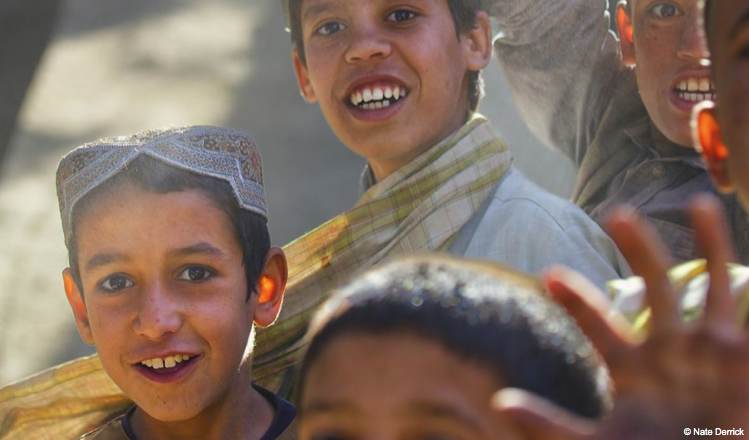 The MTEG survey-based assessment is designed to provide teachers, teacher educators and policy makers with an important baseline to help improve education quality in Afghanistan. The first MTEG assessment took place in 2013 with the assessment of around 6000 Class 6 students in 13 provinces of Afghanistan. The students were assessed in reading, writing and mathematical literacy. The topics of the Class 6 reports are: Class 6 proficiency; Class 6 girls and boys; and School factors. The second MTEG assessment occurred in 2015-16 with the assessment of around 5000 Class 3 students in 15 provinces of Afghanistan. A tablet-based assessment was used to assess reading and mathematical literacy. The Class 3 report provides information about the Class 3 students as well as changes in achievement between Class 3 and Class 6 students. Download the database for the Class 6 Afghanistan MTEG results. Download the MTEG Afghanistan Class 6 student context questionnaire in English, Dari or Pashto. Download the MTEG Afghanistan Class 6 school context questionnaire in English, Dari or Pashto. Assessment GEMS No. 6, Monitoring Trends in Educational Growth in Afghanistan (PDF).